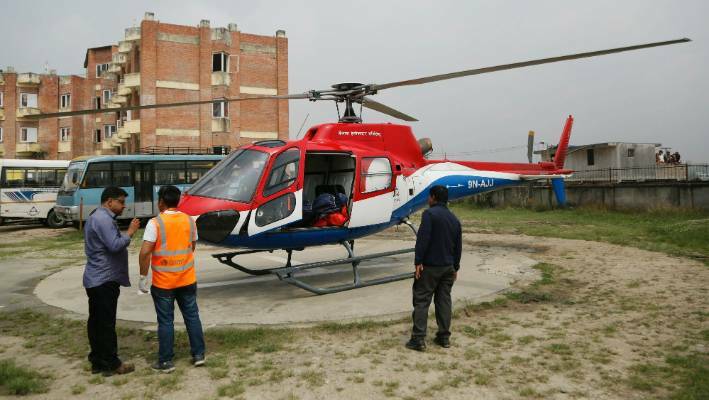 Kathmandu: A small passenger plane veered off the runway while taking off and hit two parked helicopters at Lukla airport in Nepal's Everest region on Sunday, killing a co-pilot and two policemen, officials said. A small plane operated by local airline Summit Air went in the wrong direction during take-off and crashed into a parked helicopter, according to the Himalayan Times. The airport, which is also known by the name of its host town, Lukla, was shut down after the incident. The injured have been sent to Kathmandu for treatment.